TUNISIA: A seizure of more than 50 000 Euros e-cigarettes at the port of La Goulette! The setbacks of the vape sector in Tunisia are not over! Recently, more than 50 000 euros for e-cigarettes, e-liquids and accessories were seized by the Tunisian customs in the port of La Goulette. A SUPPLY OF CONTRABAND INTERCEPTED BY THE CUSTOMS! 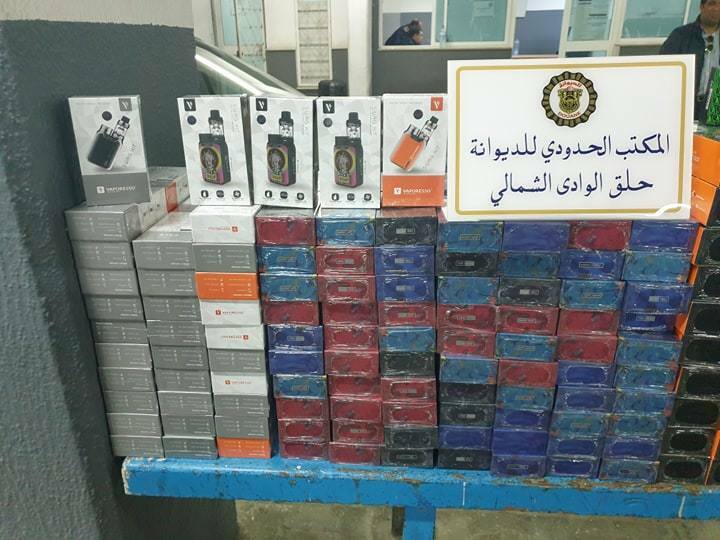 The Tunisian Customs Service announced that teams in the port of La Goulette Sunday Sunday 17 foiled 2019, an attempt to smuggle a large amount of e-cigarettes, accessories and e-liquids. In a statement, the customs said that the inspectors suspected the contents of a car with a foreign numbering from Marseille, led by a Tunisian citizen residing abroad. The passenger inspection team conducted a thorough search of the vehicle, revealing numerous caches on the sides of the vehicle and under the spare wheel, concealing contraband goods covering hundreds of thousands of vehicles. -cigarettes and thousands of e-liquid vials worth 184 000 dinars (53 000 euros approx). Following : VAP'NEWS: The e-cigarette news of the 23 Weekend and 24 Mars 2019.